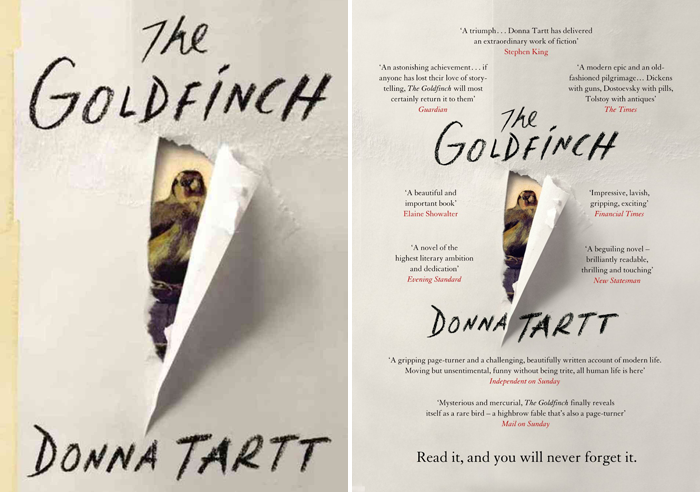 I picked up The Goldfinch because it is the next big literature sensation. Every blog that reviews books is writing about it and every big book store is featuring it on their website. It even won the 2014 Pulitzer Prize! I may be in the minority with my opinion, but I didn't fall in love with the novel. Don't get me wrong, I liked it, but I certainly didn't think it was the best thing I've ever read. The book follows the life of Theo Decker, a young Manhattanite, who loses his mother in his early teens. We read about his experiences as he grows into a young man and how the tragic loss of his mother impacts his life. My problems with the novel are two fold. One, Theo has experiences that are just too surreal for this novel to be believable. I know that this is fiction, and I'm supposed to take the novel as is, but I think this is taking fiction, and unbelieveable-ness, to a whole new level. It's not that the experiences themselves are out of the ordinary, it's that all these things happen to just one person. My second issue with the novel lies with the writing style. I found that the writing towards the end of the book felt disjointed from the writing in the beginning of the novel. I know we're supposed to view the book from Theo's perspective, so the writing style mimics his thoughts during certain experiences, but at times it was so confusing that the narrative was hard to follow. The funny thing is, I miss Theo. I walk to the subway and I think about how I'll be in his world soon and then I realize I'm done reading the book. Even though I disliked many aspects of this novel, there are only a few books that have ever left me longing for more.